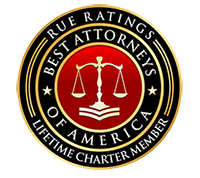 Our Fee Guarantee means that our Fees will never be more than your net recovery after all costs and medical bills are paid. 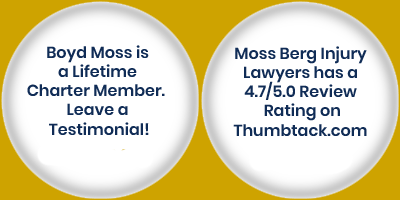 Moss Berg Injury Lawyers is committed to treating our clients fairly. 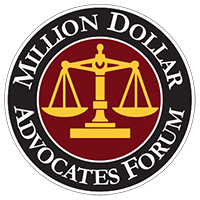 We will take on the insurance companies and continuing fighting for you until you are satisfied, even if that means going to trial. Most lawyers are scared of trial. 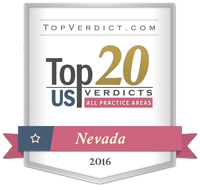 We have more trial experience than 99% of lawyers in Las Vegas and we welcome the opportunity to go to trial. INJURED? Let Us Represent You. I patiently awaited for the amazing outcome of my case. 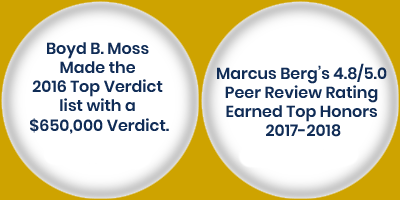 Marcus and Carol did their best to ensure I got what was deserved for my case. 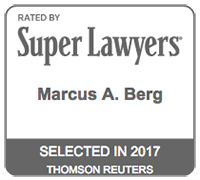 I highly recommend this firm. 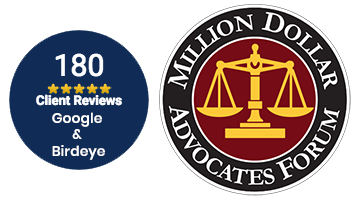 If you are unsure if you have case, just simply give them a call and discuss your situation. That is what I did and I am happy with the results. Thank you all so much for working on my behalf! Everyone I dealt with was Friendly, compassionate and helpful. 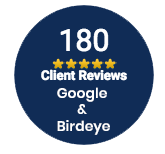 They were awesome and knowledgeable and while the course of things take time –the ultimate outcome was more than fair and worth the wait. 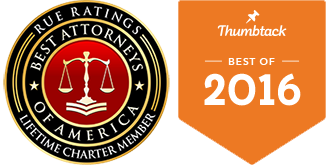 I would most definitely recommend this Law Firm to my friends and family! 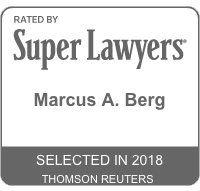 Excellent law firm. Very professional staff – front office, legal assistants – all are great. The firm, as a whole, takes a personal interest in you and your well being. 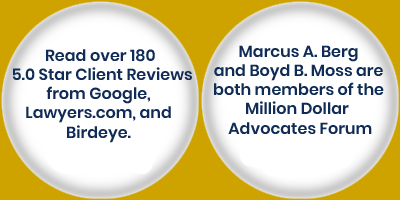 Marcus and Tim, an excellent team, thank you both for your help, professionalism, and support. I highly recommend! Carol is amazing and makes herself available to answer any questions. She made the whole process smooth and I never had to worry about a thing! The entire staff, and Carol especially, are very down to earth and make you feel comfortable. Love this firm..Marcus , Tonya and staff class act.. Treated myself and my children with love and dignity. We are blessed to know them. Tough ,firm and aggressive. They really care about those they serve. I would highly recommend them. I have gotten to an accident with a drunk driver. When the accident happened I did not know what I was supposed to do. 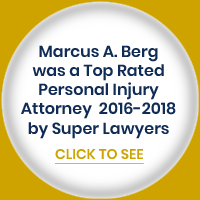 I was referred to Carol at Moss Berg Injury Lawyers. She got all my doctors appointments set up and made this process a breeze. I could not be happier with the outcome. They give you a lot of attention and never rush you. They make sure all your questions are answered and really do treat you like family! Don’t go anywhere else, trust me.